When I first heard that Milo Ventimiglia and Mandy Moore are starring in a new show together, my heart could hardly handle it. Essentially, the nostalgia was unbearable — in the best possible way. Jess Mariano and the "Candy" singer are like the couple my tweenage self never knew I needed. 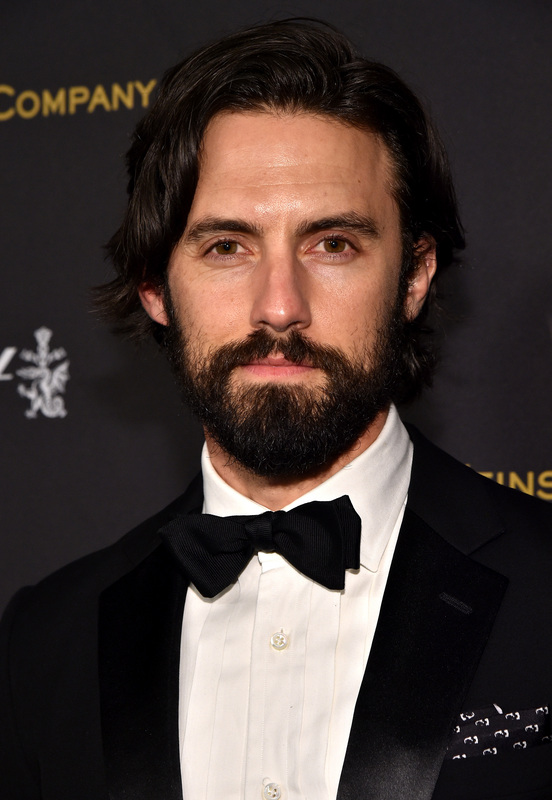 Like others my age, I obviously grew up listening to Moore's music and admiring Ventimiglia on my TV screen. On Sunday, Deadline shared the trailer for the NBC show called This Is Us , which will air on Tuesdays this fall. Trust me, the preview will surpass your expectations. You may even need a tissue, because yes, it gets that emotional. But it's super heartwarming too. This Is Us has the same writer and directors as Crazy, Stupid, Love , so you know it's bound to be good. In the two-and-a-half-minute clip, Ventimiglia and Moore's characters are an expectant couple. When her water breaks and he brings her to the hospital, it's implied that she was originally expecting triplets. Unfortunately, there's some sad news sandwiched in there. But don't worry, I won't spoil the show any further — you can see what happens for yourself. Just maybe grab a tissue or two before you hit the "play" button. Seriously, you've been warned. This refreshingly honest and provocative series follows a unique ensemble whose paths cross and their life stories intertwine in curious ways. We find several of them share the same birthday, and so much more than anyone would expect. Previously, Ventimiglia compared the show to Parenthood , so that set-up definitely sounds comparable — where there's a lot of various plots to follow, but they're all connected. Plus, it seems filled with equal amounts humor and emotions. I know they're not the same people they were in the early '00s. (Are any of us, really?) But for the sake of this new show, I've decided to round up the reasons that Jess Mariano and Mandy Moore (circa the late '90s, early '00s) actually would've made a perfect couple. You know, if some fictional alternate universe existed. Don't believe me? Keep reading and prepare to have your mind blown. I mean the phrase "bubble-gum" rather literally. Mandy Moore and Rory Gilmore apparently both really like sweets. She had an entire song about candy, meanwhile the Stars Hollow smartie always ate all the junk food. I'd also like to point out that the setting of the "Candy" video very much looks like a diner. Reminiscent of Luke's, right? Moore is a singer and actress. On Gilmore Girls, Jess was a writer and even wrote his own book. Remember when Moore dated Wilmer Valderrama from 2001-2002? Before he settled down with Demi Lovato, he definitely was considered edgy — not unlike Jess' character. Stars Hollow is a fictional Connecticut town, meanwhile Moore is originally from New Hampshire. Both of these states make up New England. Their upbringings probably would've been relatively similar. They've Dealt With "Love In The Spotlight"
Moore got her start as a pop star, so obviously her relationships made headlines. The "love in the spotlight" phrase comes from the coverline on this vintage Teen People. As for Jess, all of the Stars Hollow residents kept their eye on him when he pursued Rory. Ouch! I know some of you won't like that reasoning, but hey, if Rory is with Dean, that could leave Jess for Moore. And now aren't you convinced they'd be a perfect couple? Even if you disagree, I'm personally so pumped that Ventimiglia is coming back to TV — not just on the upcoming Gilmore Girls reboot, but also this new series with Moore. Can these shows please start immediately?